Let the licensed massage therapists of Dr. Steve VeGodsky's Chiropractic Family Wellness Center provide you with a rejuvenating massage that will aid in your healing. We are here to care for you and teach you more about the treatment process. John began practicing therapeutic massage in 1988 and we are fortunate to have him in our practice for most of that time. 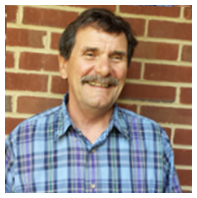 John is trained in Swedish, deep tissue and myofascial massage, neuro-muscular therapy and shiatsu. While chiropractic deals primarily with the mobility and alignment of your joints, massage therapy focuses on your surrounding soft tissue of muscles and tendons. When these complementary treatments are combined, they can produce more effective results and help you heal more quickly. Our licensed massage therapists have the hands-on experience to help you decrease your pain and speed up your recovery. Massage therapy can increase circulation, improve energy and vitality, provide greater flexibility, and improve postural patterns. You will also see decreased muscle tension, general stress reduction, and decreased body toxicity.